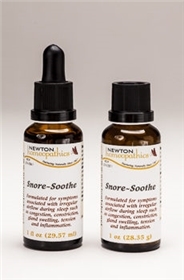 Formulated for symptoms associated with irregular airflow during sleep such as congestion, constriction, gland swelling, tension and inflammation. Directions: Ages 12 and up, take 6 drops or pellets orally (ages 0 to 11, give 3 drops or pellets) one hour before bedtime, and then again at bedtime. Repeat as needed or as directed by a healthcare professional. Under age 2, crush or dissolve pellets in purified water. Sensitive persons begin with 1 drop or pellet and gradually increase to full dose. Active Ingredients: Histaminum hydrochloricum 15x, Lac caninum 15x, Arsenicum album 10x, Belladonna 10x, Bryonia 10x, Camphora 10x, Cistus canadensis 10x, Drosera 10x, Hepar sulphuris calcareum 10x, Hydrastis canadensis 10x, Ignatia amara 10x, Iodium 10x, Kali bichromicum 10x, Kali iodatum 10x, Nux vomica 10x, Phosphorus 10x, Pulsatilla 10x, Sabadilla 10x, Silicea 10x, Sticta pulmonaria 10x, Sulphur 10x, Teucrium marum 10x, Verbascum thapsus 10x, Echinacea 3x. Arsenicum album: Whistling, wheezing breathing; Suffocative fits during sleep; Nose feels stopped up. Belladonna: Inflammatory swelling and redness of the external and internal nose; Sleep disorders; Tonsils enlarged; Throat feels constricted. Bryonia: Swelling of the nose with obstruction; Tough mucous in larynx and trachea, worse in a warm room; Great sleepiness during day. Camphora: Snoring; Constriction in larynx; Stopped up nose. Cistus canadensis: Throat glands swollen and suppurating (forming pus); As of a lump in nose. Drosera: Constant dryness of nose; Snoring during sleep and when lying on back. Echinacea: Stuffiness of nostrils with mucus in nares (sinuses) and pharynx; Mucous comes in throat while in bed, must cough to clear throat. Hepar sulphuris calcareum: Inflammation, redness, swelling of nose; Rattling breathing during sleep. Histaminum hydrochloricum: Feeling of pressure, of constriction in throat; Nose blocked on one or both sides. Hydrastis canadensis: Thick mucous from posterior sinuses; Restless sleep; Breathing difficult, worse lying on right side. Ignatia amara: Profound sleep with stertorous (loud snoring) respirations; Choking, spasms of glottis; Throat disorders. Iodium: Swelling and elongation of uvula; Constriction in throat; Nose stopped up. Kali bichromicum: Obesity; Nasal polyps; Sensation of choking when lying down. Kali iodatum: Throat constricted; Glandular swelling; Whistling asthmatic breathing. Lac caninum: Tongue swollen; Stuffed feeling in nose and throat; Bones of nose sore to pressure. Nux vomica: Light nocturnal sleep, with frequent waking; Loud snoring respirations during sleep; Nocturnal (night) stoppage of nose. Phosphorus: Sleep disorders; Nasal polypi; Fan-like motion of nostrils. Pulsatilla: Smothering sensation upon laying down; Constriction in larynx (throat), principally at night when lying in a horizontal posture. Sabadilla: Wheezing respirations; Obstruction of nostrils, alternately. Silicea: Sleepiness all day; Obstructed respirations when lying on back; Snoring while sleeping. Sticta pulmonaria: Asthma; Sensation of obstruction of nose; Obstruction in throat. Sulphur: Nasal polyps and adenoid enlargement; When sleeping, snoring. Teucrium marum: Nasal mucous polyps; Unrefreshing sleep; Obstruction of nose. Verbascum thapsus: Disturbed sleep, at night, with tossing; Sensation of obstruction in larynx and nose.